The end of the year is always a good time for reflection. Stop our hectic life to assess what has happened during the year and analyze ourselves. We always find things that we want to improve or change. January is the perfect month to start them! One of this things is usually the renovation of the home. Sometimes we need to better fit our home to our needs, or our rooms start looking outdated. 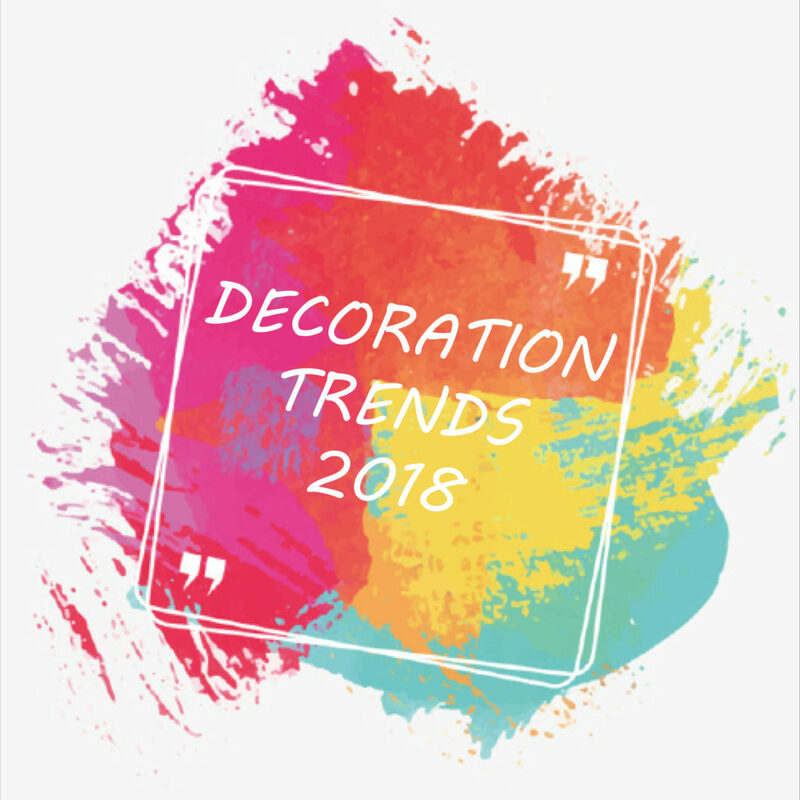 Whatever your situation, in this post you will discover the trends that will mark 2018. The “total white” spaces acquire prominence. 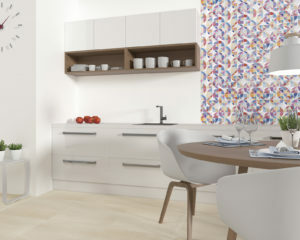 This trend is great for stays with a few meters, as this colour brings lightness and spaciousness. Do not forget to add a touch of colour to add personality to your stay. 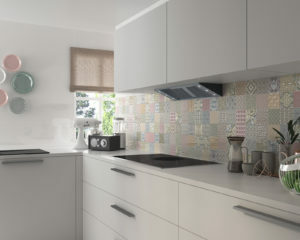 In kitchens or bathrooms, the best solution is to incorporate small sections with colourful tiles and combine matching accessories. The neutral colours that bring warmth. 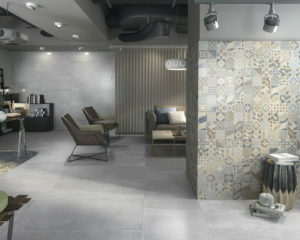 The shades that are within the range of beige and grey are perfect for spaces to look more welcoming. 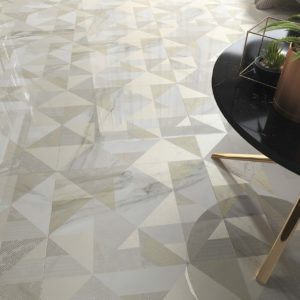 If you want to create minimal spaces that do not seem cold, incorporating this range of colours on floors and walls will help you to make your house look more like a home. 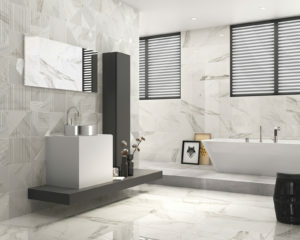 Marble continues to be the reference material. 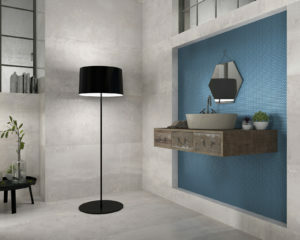 We find it in all kinds of accessories but also in furniture as well as floor and wall coverings. 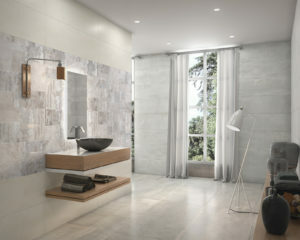 In wall tiles, marble has been reinvented to acquire new appearances. 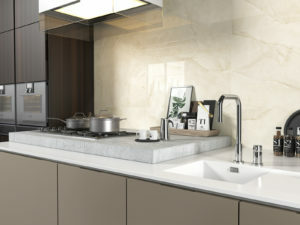 Although the calacatta is still the favourite finish, other finishes appear with warmer tones. 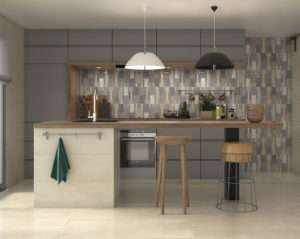 The rhombuses and paintings with warm tones are filtered in 2018 in homes, through wallpaper or tiles. 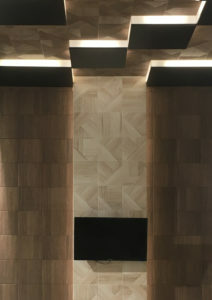 On the other hand, zig zag patterns are the perfect alternative to create simpler geometries. Materials that seem not to have been treated and others that simulate wear and tear over the years. 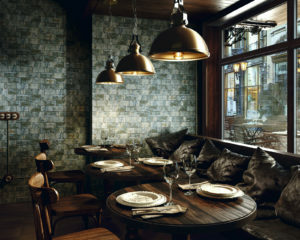 The faded or rusty look, seeks to give personality to the most modern rooms.